A comment on my last post correctly noted that I incorrectly identified the statue at the I90 visitor center. It was not there when we lasted visited the site and this visit was quick and I just assumed it was of Sacagawea, oops. Since it was late, I just pulled the post. So, one more time. As we continued along the Lewis and Clark trail heading to Kennebec, SD, we decided to stop at the Corn Palace in Mitchell, SD. We have been here several times before, but since they change the decoration on the outside of the palace each year, we wanted to check it out again. Our first big surprise- the street in front of the palace was being ripped up completely and the road was closed. 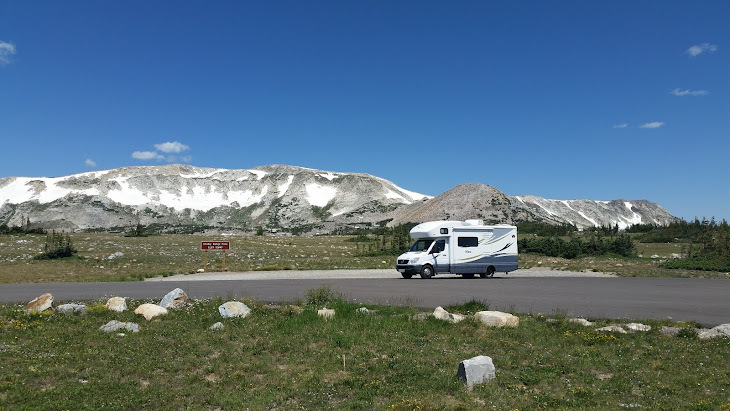 After finding a place to park the motorhome we threaded out way through the construction to the front entrance and got our second surprise. The corn decoration on the palace was now only being changed every other year. This was no big deal to us as we have not been here in some years so it was still new to us. The current theme was music legends. We were told by a staff member that the change was made by the newly elected mayor last year. Apparently, this decision and the mayor is not all that popular. Perhaps the policy will change at the next election. The inside remains as we remembered it. The popcorn is still good! Heading north again, on I90, we stopped at the rest area with a Lewis and Clark visitor center. We have stopped here in the past and it has a great view of the Missouri River. From the visitor center, you can see across the river to a waterfront campground that is believed to be on the site where the expedition camped on their way north. We camped there some years ago, while we were full timing. The most impressive thing to see at this stop is the statue called “Dignity”. The last stop was across the river and visit Al’s Oasis near where the campground is located. 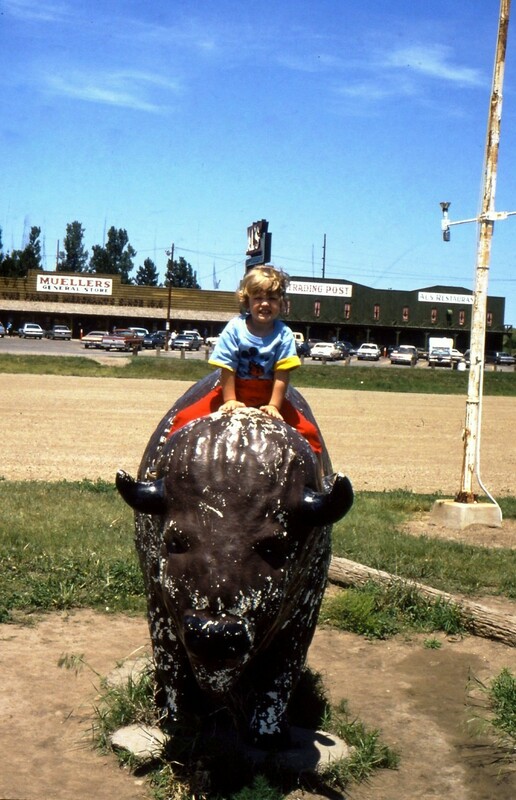 We stopped here in 1986 on an RV trip to Yellowstone and other western sites with our two small daughters and Anneke’s parents from the Netherlands. A sort of then and now moment. When Thomas Jefferson became president in March of 1801, he decided that now he had the chance to conduct an expedition to explore the western region of the continent. He believed (hoped) that there was a water route to the Pacific Ocean. He began planning such an expedition and obtained secret funding from Congress to carry out the trip. At this time, most of the area they would be exploring belonged to the Spanish, French and English. The boundary of the United States ended at the Mississippi River. He selected his former secretary, Meriwether Lewis to lead the expedition. Lewis immediately began planning the expedition. He invited William Clark, who he had served with in the army, to be co-captain of the expedition. Just before the start of the expedition, the Louisiana territory was purchased from France. This included all of the land from the Gulf coast thru what is now the central United states up to the Canadian border and west to the Pacific Ocean above the Spanish Territory. The expedition begins on 14 May 1804 from near St Charles, MO. Sixty miles north on the Missouri River they will leave the last small European village and enter completely unknown territory. This exploration is being conducted as a regular army expedition with all participants at this point being part of the army. On July 3rd Sgt Floyd falls ill. On Aug 3rd, 1804, the first council meeting between a native tribe and a representative of the United States government is held near modern day Omaha, NB. In this council meeting the native tribe is informed of their new great white father far to the east. They are promised a future of peace and prosperity if they do not make war on whites or other tribes. 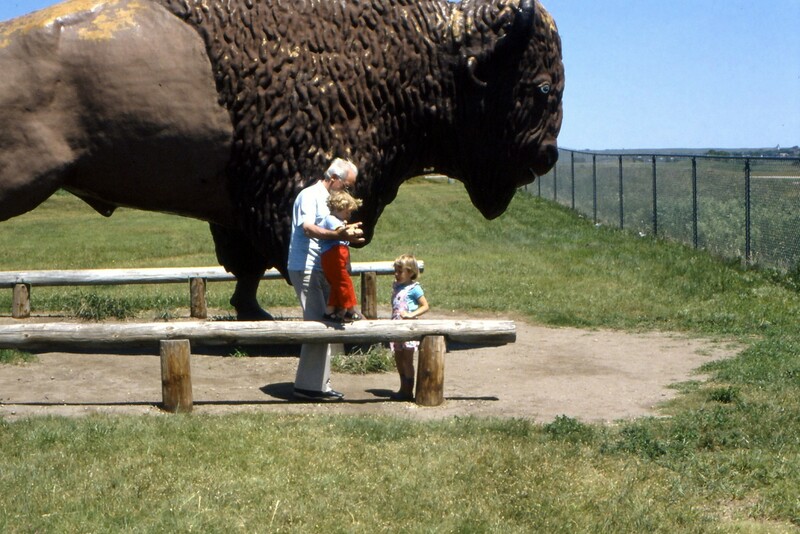 Future contacts with the natives were modeled on this meeting. On Aug 20th, 1804 Sgt Charles Floyd becomes the first fatality of the expedition. Amazingly enough considering the hardships of the journey, he was to be the only death on the expedition. The most probable cause of death was a ruptured appendix. This brings us to our stop at the KOA in North Sioux City, SD. Our first visit here is the Lewis and Clark Interpretive Center in Sioux City, IA. In front of the main building there is a river steam tug boat and exhibits on the river and the expedition. Here we had a presentation from a lady who has studied the expedition details for over 40 years. She had great information to share. The main building was impressive not only for the expedition displays but for the technology inside and the landscaping and works of art outside. This included the sculpture of Lewis and Clark with Clark’s Newfoundland dog, “Seaman”.